Spicebush swallowtail butterfly; photo by Dendroica cerulea on Flickr (use permitted with attribution). 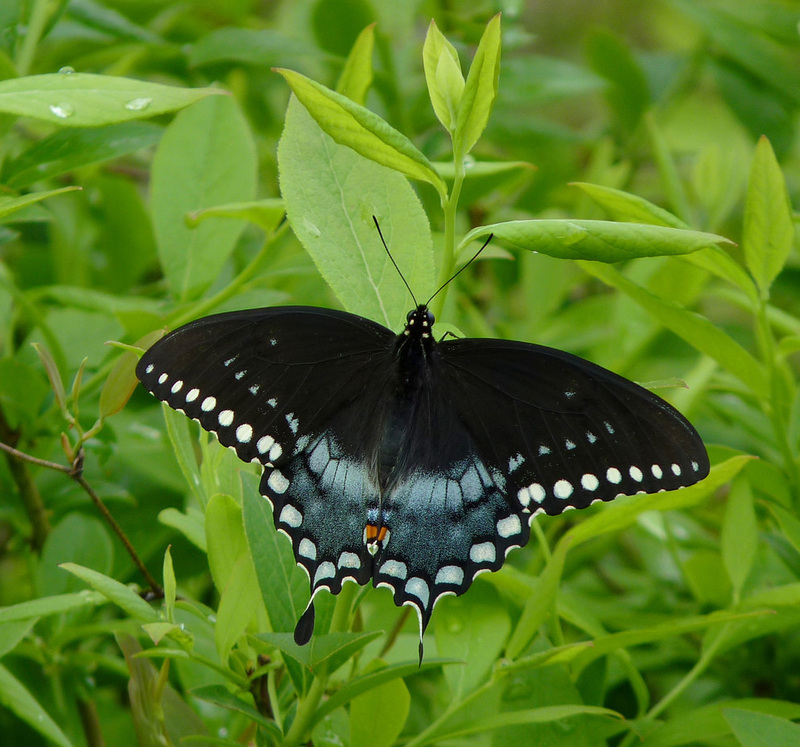 Mississippi designated the spicebush swallowtail butterfly (Papilio troilus) as the official state butterfly in 1991. 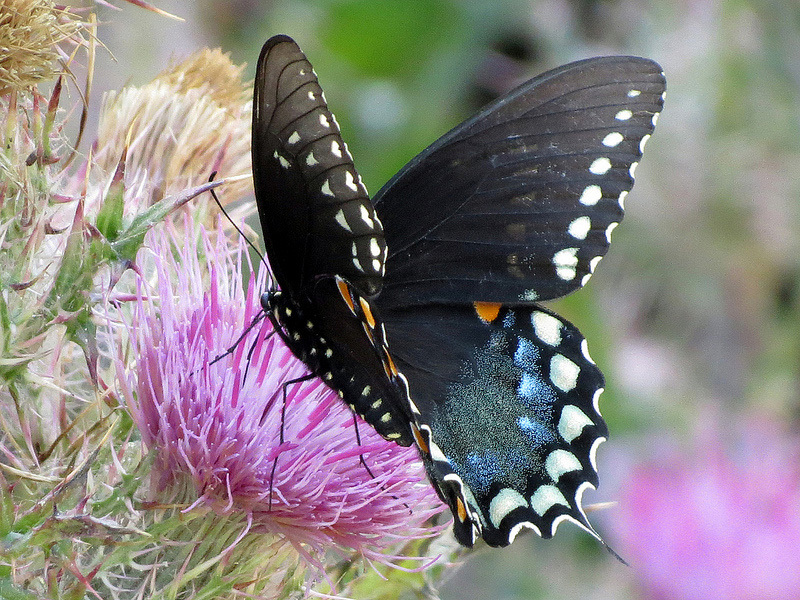 The spicebush swallowtail acquired its name from its most common host plant, the spicebush. 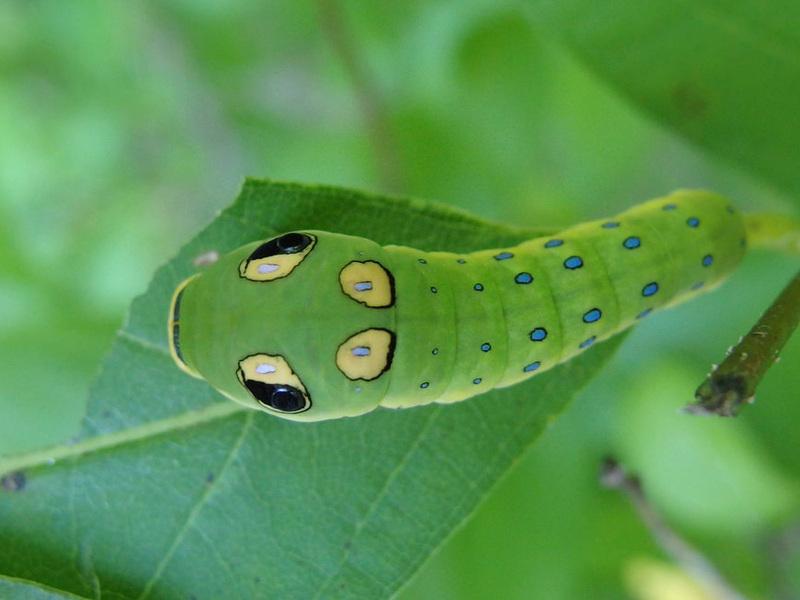 Also called the green-clouded butterfly, the spicebush swallowtail is normally found in deciduous woods or woody swamps in the eastern US and southern Ontario. Spicebush swallowtail butterfly; photo by Amy Evenstad on Flickr (noncommercial use permitted with attribution / share alike). Young spicebush swallowtail caterpillar (Papilio troilus); photo by Michael Hodge on Flickr (use permitted with attribution). 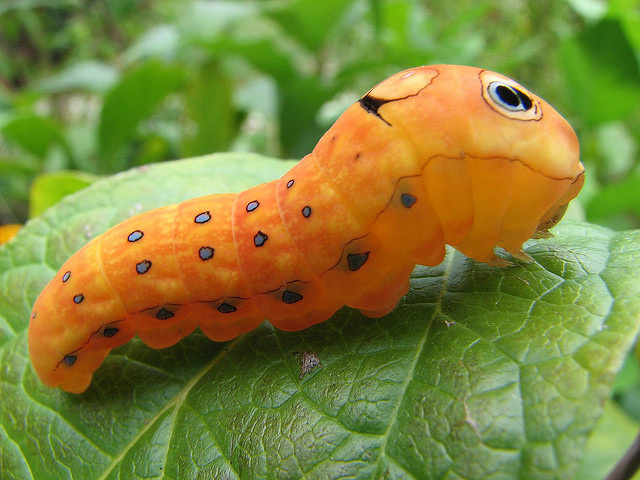 Mature spicebush swallowtail caterpillar (Papilio troilus); photo by Colleen P on Flickr (noncommercial use permitted with attribution/ no derivative works).